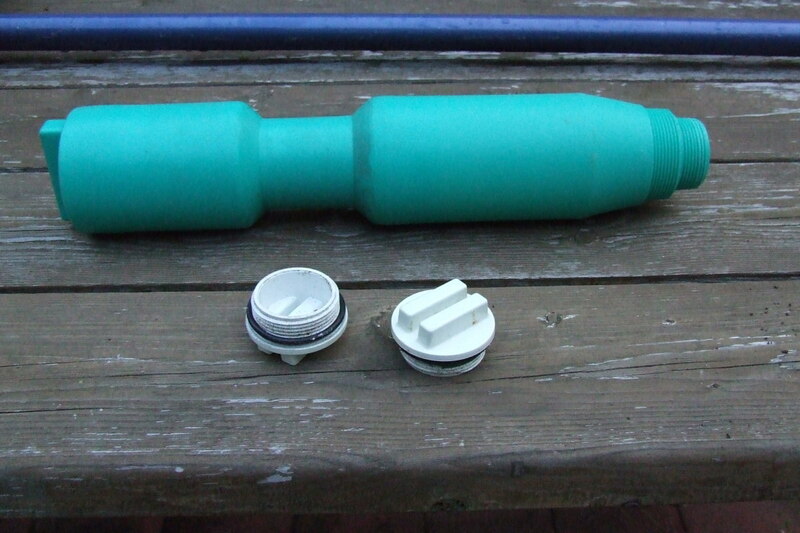 I am an IT engineer and have been a pool owner for over five years. Are you having problems with wild ducks or geese hovering around your pool? Sure, they may be cute to look at or fun to watch, but problems can arise when you start to find bird droppings or can't enjoy your pool in peace and quiet. Plus, if you see a pair of birds swimming, chances are they will soon begin mating and laying eggs in your yard. Before this happens, you need to scare them off. Here are some simple tips that anyone can do to prevent birds from ever landing in your pool. 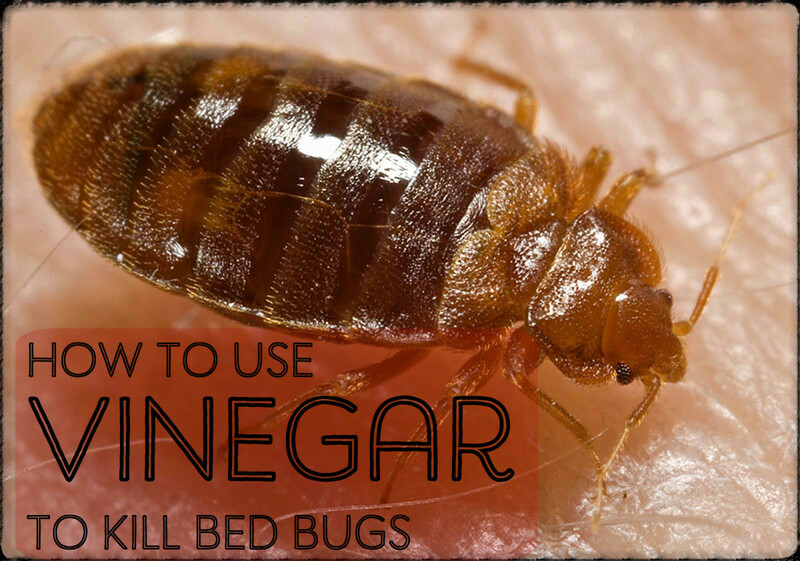 Some of these tips will also work for keeping them out of your yard/garden. Wild ducks do not like predator-infested waters. Keep certain inflatable animal toys—alligators, killer whales, snakes, and dolphins—in the pool when you're not using it to scare off ducks. However, this method does not always work. Once the ducks learn that the floating thing is not really a threat, they will come right back. Solar covers are usually used to prevent water evaporation and trap solar radiation, which increases the water temperature by up to 15 degrees. They come in all shapes and sizes, so you can find one that best fits your pool. Make sure you buy one that actually fits so ducklings don't manage to sneak in and get stuck. 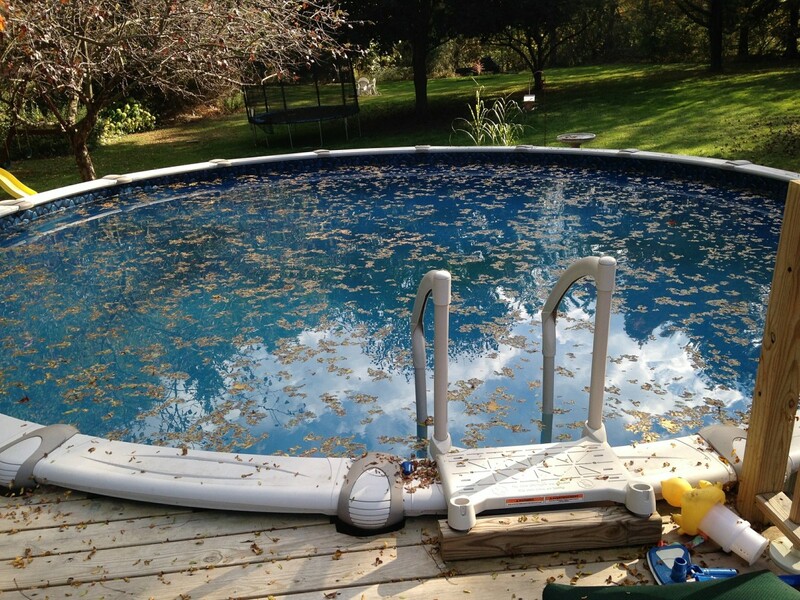 Using a solar cover will not only make your pool warmer and prevent leaves and debris from falling into it, but it is also a great way to prevent wild ducks from swimming in the water and pooping in it. If fake predators don’t work, then use a live predator. Having a dog will easily solve your duck-infestation problem. Ducks are easily scared, and dogs are one of their predators. Just seeing or hearing your pet will have these ducks fleeing out of your pool. This is more of a reactive method, but it can still be effective. It is important to remember though that not all dogs readily chase and bark at ducks. And not all ducks are easily scared of dogs, so you may need to train your dog to chase away those quacking ducks every time. Maybe don't get a cat though. Cats are soundless, duck-killing ninjas, whereas dogs are loud and scare the ducks off. Cats are liable to kill them before they get scared away. Dogs cause a ruckus without causing duck-damage." If your dog is too lazy, you can always rely on a machine to do the job. The principle is the same. 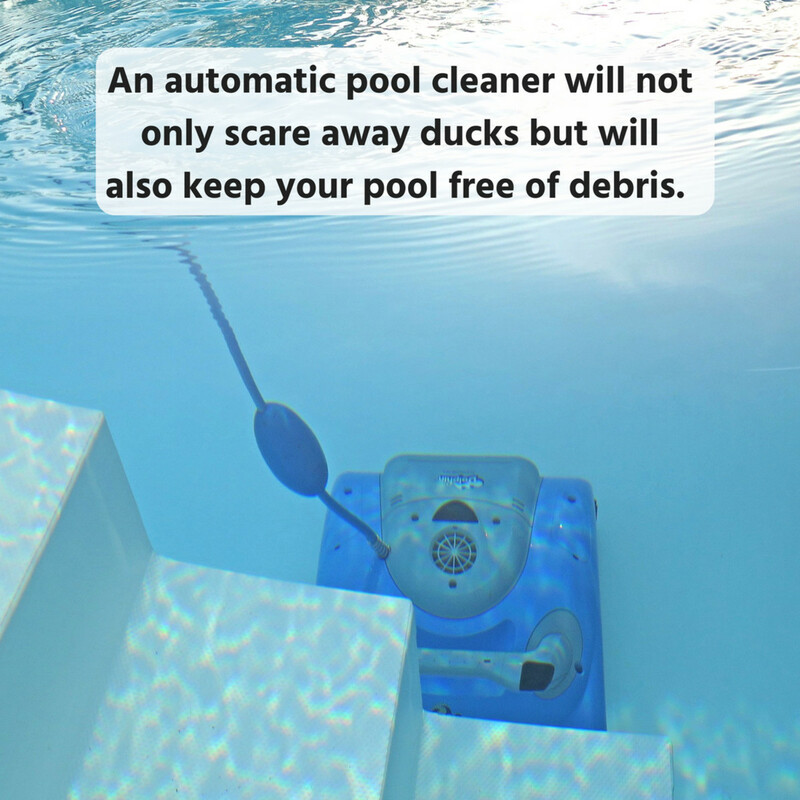 Since ducks are easily scared, having an automatic cleaner will prevent them from ever landing in your pool. 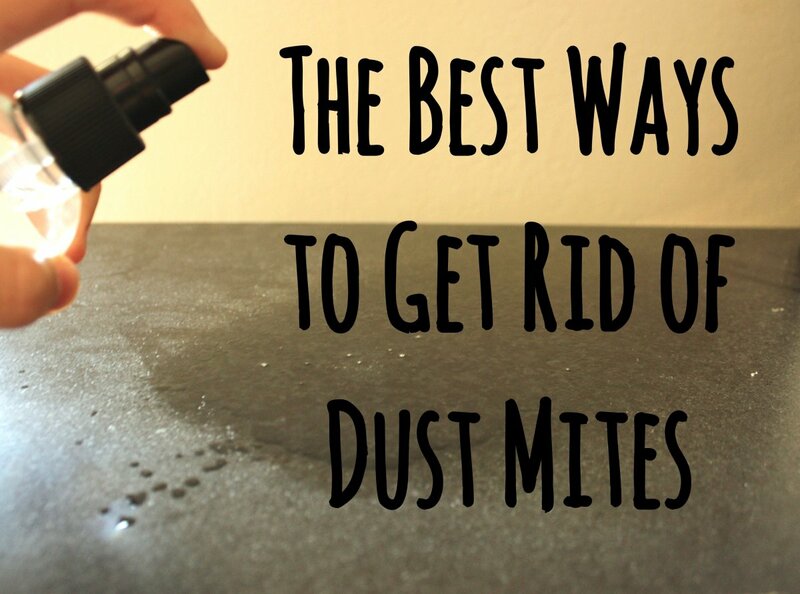 Even the sound of a vacuum can easily scare them off. Fishing line that is crisscrossed can act like an invisible roof on top of your pool and may prevent the ducks from landing. It serves as a barrier that can be invisible to the ducks. Once they hit the lines, they will never do it again. Though using unwanted chemicals may seem a bit discouraging, Duck Off is actually safe to use and works. It is a product by the Lo-Chlor company that breaks the surface tension of the water, making it uncomfortable for ducks to swim. 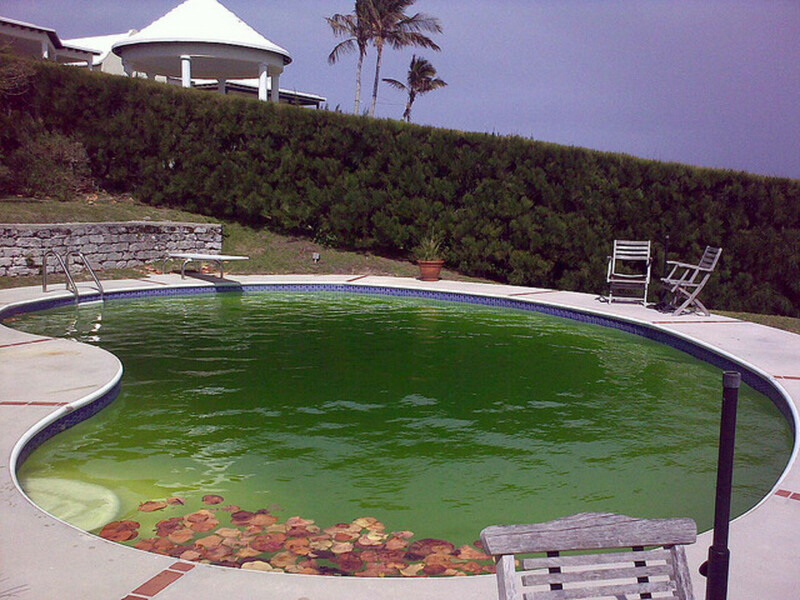 For those of you who don't want to put extra chemicals into your pool, use this as a last resort. These sprinklers will spray water once they sense motion around them. This is a great way to scare off the birds since the sudden spray of water will catch them off guard. The principle is the same as the fishing line. You can use a net to act like a roof and cover up your pool. Not only will it prevent the ducks from landing easily, but it will also add another protection from falling leaves. This is great if you have a large tree next to your pool. These nets are fairly inexpensive and can be found at your local hardware store or garden center. Ducks avoid areas with tall vegetation where they cannot easily spot predators. So instead of planting short perennials around your poolside, plant tall shrubs. Also, avoid planting fruit-bearing plants like berries and nuts because the trees and bushes will provide the fowl with a food source. These balloons float in the water and are designed to look like large eyes. Wild ducks usually hate those eyes as they represent a predator’s eye on the watch. This might just do the trick and add some ornament to your pool. You can either buy them or make your own. While bird feeders and flowers make your yard look more attractive, they are likely resulting in birds taking up residence in your backyard. Another reason for this is that if you feed the ducks with a bird feeder, you're just giving them more reason to return. If you're dealing with other creatures besides ducks, it might be worth it to buy a pet repellent. These inexpensive machines emit a high-frequency sound that humans can’t hear but that is highly irritating to birds. The sound effect is harmless to wildlife and simply works to shock the animal into flight so it doesn’t get too comfortable. If you don't ensure your pool always has enough chlorine and isn't full of floating debris, you're more likely to have some new residents. Clean water doesn’t have the same appearance or smell as pond water, which is what ducks prefer. 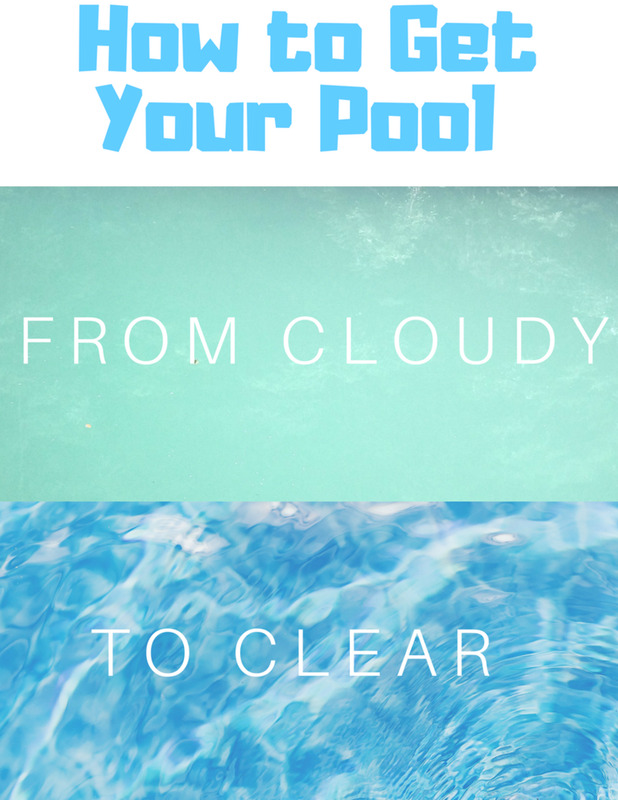 You should also upkeep the area around the pool. Since owls are a natural predator of ducks, set a few plastic decoys up around the pool to scare them off. For this to effectively work though, it's best to invest in a decoy that hoots and makes simple physical movements like head turns. Why Do They Like Pools? Since ducks migrate north for the warmer months, they are looking for a body of water to nest. Pools provide a great sanctuary since they both provide an adequate amount of water and appear to be "safe" from predators. A presence of wildlife, including birds, increase the risk of germs and disease such as Crypto, E.coli, Salmonella. 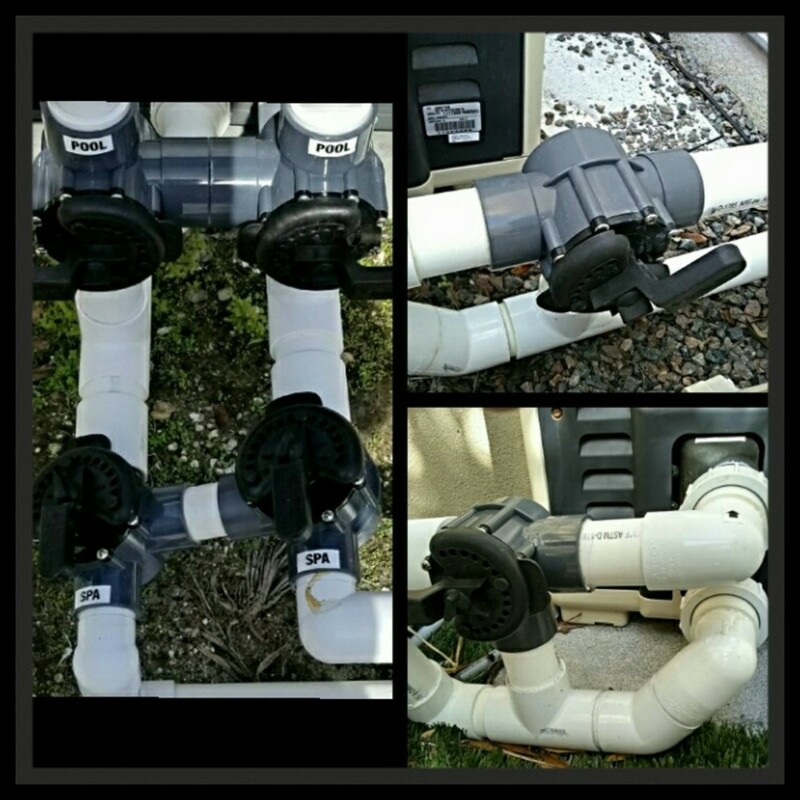 Fortunately, most types of bacteria die quickly once they come into contact with the chlorine—this is why it's so important to maintain your pool and its chlorine levels. 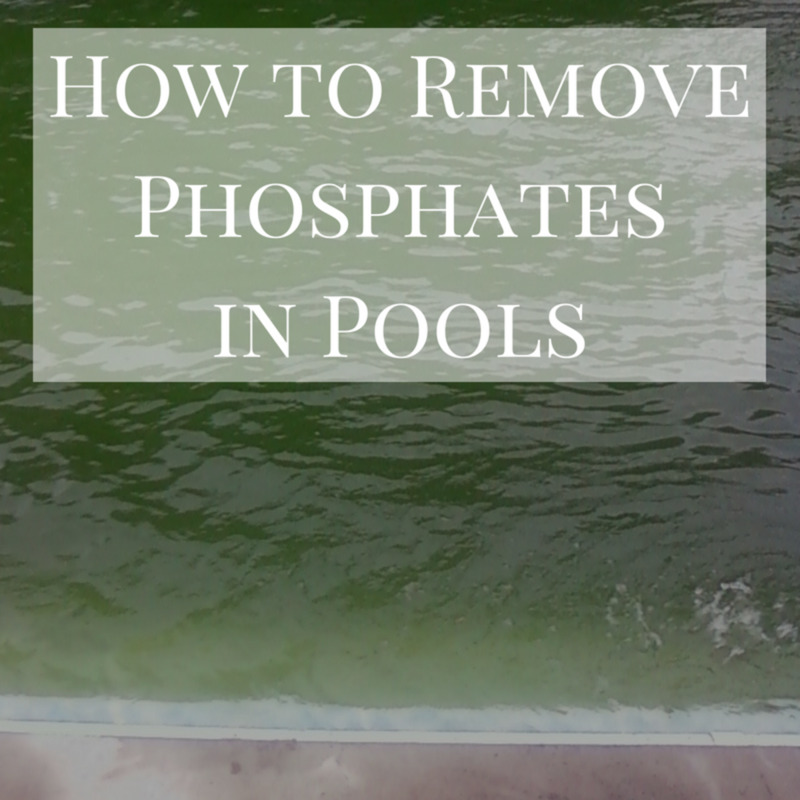 While nitrates and phosphates are naturally occurring contaminant to pools, ducks and other birds can contaminate them even more. Once these animals take up residence, it will be hard to get them to leave. Is Pool Water Safe for Ducks? They'll naturally want to drink large amounts of the chlorinated water, which can, in turn, cause irreparable damage to their kidneys. Pools are especially dangerous for ducklings since they have no oils in their "down" when they hatch. This can cause them to become waterlogged and drown in the water if they have no way to escape. If you are unable to scare away the ducks, you might want to give them a ramp to avoid the above situation. Once the little ones are old enough to leave, guide them to a local pond or lake. Under the Migratory Bird Treaty Act of 1918, when birds are migrating you are not allowed to shoot or harm them or disturb, relocate, or destroy nests or eggs. If you have ducks visiting or staying in your pool, just scare them away. They are just looking for a place to swim, feed, and reproduce. 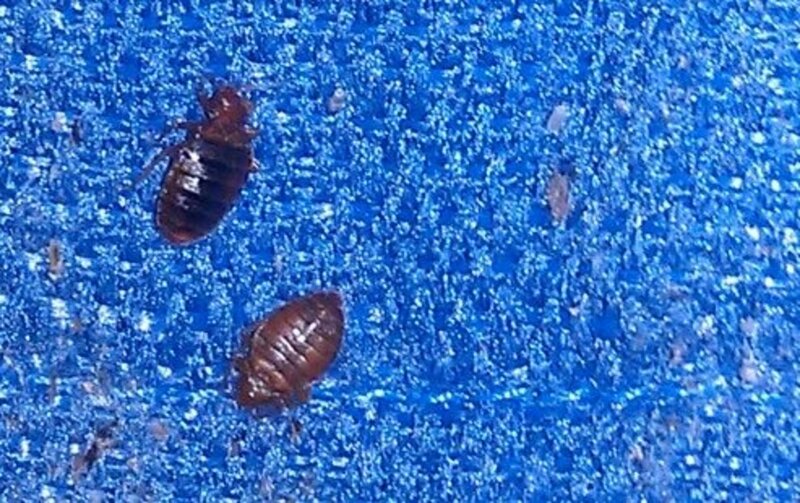 There is no reason for you to kill them just because they are swimming and pooping in your pool. It is always best to prevent them from being there in the first place. If you know other tips on keeping ducks away from your pool, let me know in the comments. I bought 2 plastic cobra black snakes from the dollar store that luckily floated. I tied string to the body and to the opposite end to a small brick with a foot or so slack. Just enough to give the snakes a bit of floating play in the deep and middle of the pool. Seems to freak the landing ducks out enough to keep them away. so I have a solar cover on my pool. The ducks still lans there and make their mess there. Pool covers to deter ducks does not work. 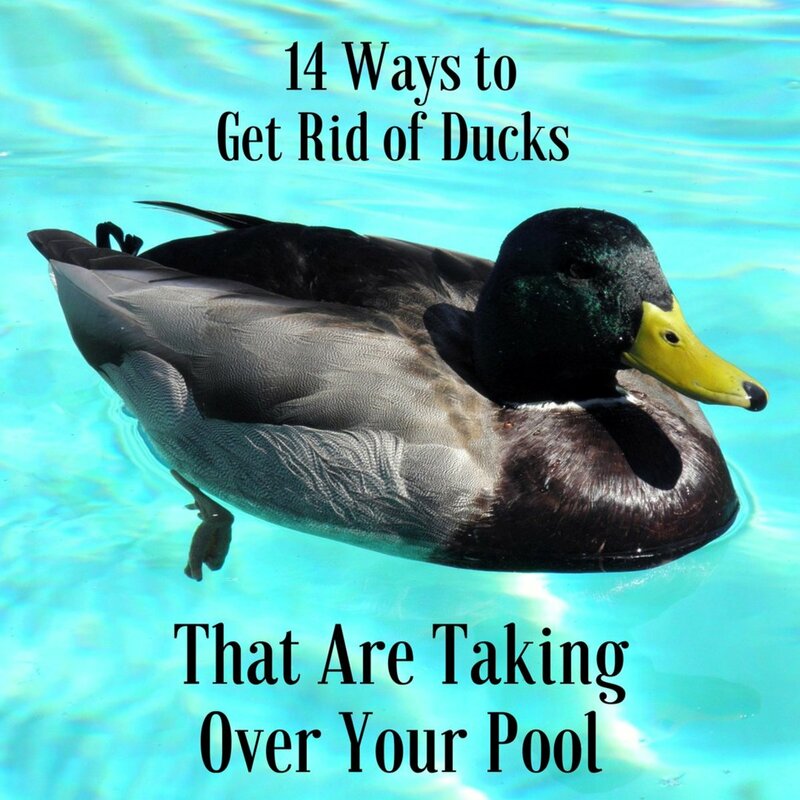 Thanks for this interesting list of tips to ward off ducks in one's pool and yard area. I like the motion activated sprinklers because they would also be fun for kids to play in.